What are the effects of blocking patents on R&D and consumption? This paper develops a quality-ladder growth model with overlapping intellectual property rights and capital accumulation to quantitatively evaluate the effects of blocking patents. 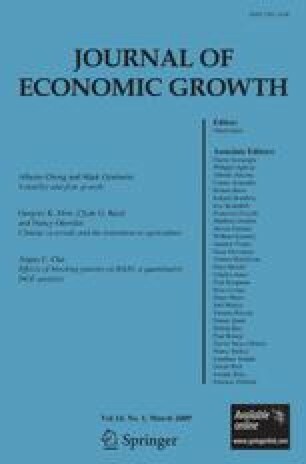 The analysis focuses on two policy variables (a) patent breadth that determines the amount of profits created by an invention and (b) the profit-sharing rule that determines the distribution of profits between current and former inventors along the quality ladder. The model is calibrated to aggregate data of the US economy. Under parameter values that match key features of the US economy and show equilibrium R&D underinvestment, I find that optimizing the profit-sharing rule of blocking patents would lead to a significant increase in R&D, consumption and welfare. Also, the paper derives and quantifies a dynamic distortionary effect of patent policy on capital accumulation.